Only a block to the beach at uniquely designed Mayfair Beach which is uptown and has central air conditioning and a balcony. Enjoy the outdoor pool or the tennis court. There is also an outside foot shower, elevator and parking for two cars. 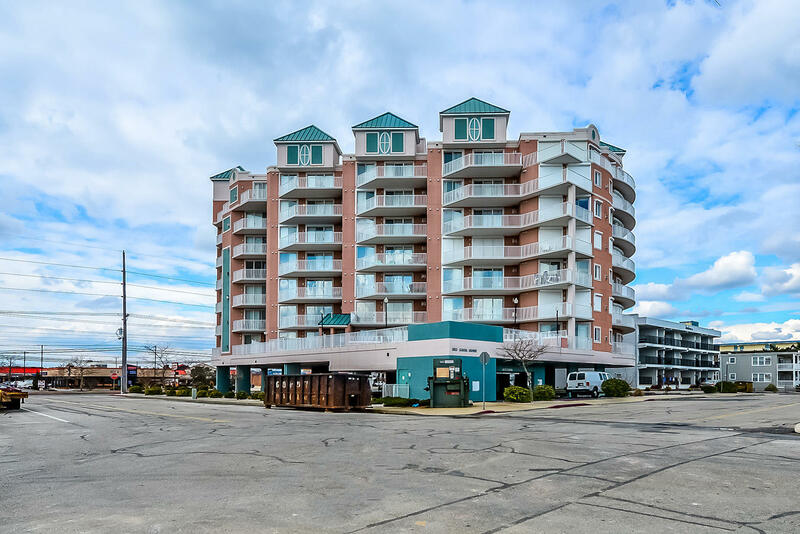 Located across the street from the Gold Coast Movie Theater and Ocean City Square Shopping Centers. Your favorite restaurants are nearby along with everything the town has to offer. You will love Northside Park for its open space, walking/biking path, playground, picnic tables and more. Also check out the free Sunday evening concerts in the park around the lagoon. Mayfair Beach building has following features and amenities: outdoor pool, outside foot shower, tennis court.